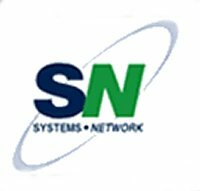 Based near Lisburn, Northern Ireland, we offer a wide range of IT services aimed at all IT users, from large companies through small businesses to individual home users. Our aim is to demystify IT and bring personal IT services within the reach of everyone. If you would like to discuss any aspect of IT, whether from a business perspective or as a home user, then please do not hesitate to contact us. Established in 1989, Filestores is a leading player in the next generation of the document and data management industry in Ireland. Filestores provides end-to-end secure document and data management services to many of Ireland’s leading organisations in both the public and private sectors. Our success, which has spanned three decades, is built upon a reputation for service quality, security and above all commitment to our customers. With five records centres located throughout Ireland including Dublin, Kilkenny and Nothern Ireland, Filestores is proud to offer our customers a one stop shop scan, store, shred solution which offers of a range of document and data management services under one roof. From start-up in 1970, IMEX has offered our customers a solution based approach to their measurement problems. We feel that this type of service can only be provided by a team of technically competent field engineers visiting, demonstrating and, where appropriate, arranging seminars and presentations of new products. With over thirty years of expertise, our products now range into many different areas. A good example of our recent success is with our outstanding Interactive Whiteboard Systems, and remember that we meet ISO9001:2000 requirements - ensuring you obtain the best quality. Computer IT Support for small to medium size business. Remote support, Computer supplies, Install. Our web site is designed for customers and potential customers, it is intended to be informative as well as highlight a few problems commonly encountered by computer users. Everything mentioned on this web site is a service we can provide, if you have any enquiry's or questions just contact us. Want to stay in close contact with us and to be the first to know of a security threat in your area? Use our brand new home page. SMK Creations are website design specialists based in the Belfast and Lisburn area. We offer your business professional website design, internet marketing, social media optimisation and print design. We have worked with a wide variety of clients ranging from accountants and restaurants through to funeral directors and physiotherapists! Trustech is a provider of innovative technology services and solutions based in Belfast, Northern Ireland that create exceptional business advantages for clients. Through breadth of portfolio in both solutions and services Trustech believe in delivering the best possible service to allow clients to create business advantage through the use of the right procedures and solutions that fit specific business requirements. Trustech specialise in innovative communications systems and services for residential and commercial use, such as: - AV Systems - Digital signage - Mobotix IP CCTV. Audio Visual / CCTV / Mobotix / IP CCTV / Digital Signage / Wireless. Trustech NI has an expanding customer base, located in and around Belfast and Lisburn, including government, health, corp and residential. 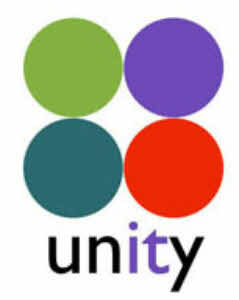 Unity IT was founded in 2004, and has developed a reputation for delivering on quality service, support and solutions to clients over the years. With over 100 years of combined experience to call upon, our team of engineers can investigate and resolve problems efficiently and professionally. Unity IT delivers proactive managed services that keep your network up and running at optimal effectiveness and efficiency, with superior network performance, security, and reliability - all at an affordable price. Address: Unit 412, Lisburn Enterprise Park, Ballinderry Road. Zest Audio is your first choice supplier and installer of Professional Audio / Visual equipment and also the manufacturer of Atmosphere - the ultimate media control system. Our aim is to 'bring your environment to life!' Formed by David Honeyford in early 1997 (originally called DJH Sound) Zest Audio has grown to be a major provider for the Hospitality, Entertainment, Retail & Church markets. Now, in 2008, Zest Audio are providing solutions for venues right across the UK, Ireland and Europe. After many years dedicated research and development, Zest Audio launched its first product Atmosphere in early 2003. Since then the company has quickly expanded both in; development of new products and also in distribution networks with many partners coming onboard throughout the UK and Europe.